Professor Norton received his BA in Philosophy from Villanova University in 1998, his MA in Conflict Resolution from the University of Bradford in 2002, and his PhD in Sociology from Yale University in 2012. 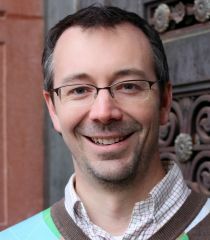 He joined the faculty of the sociology department at the University of Oregon in 2012. Professor Norton's research has focused on the role of culture in creating and influencing state power, including papers on politicized media, the narrative structure of human rights claims, and classification problems as an inducement to state formation. He is currently writing a book on piracy and state institutional development in the early modern English/British empire.